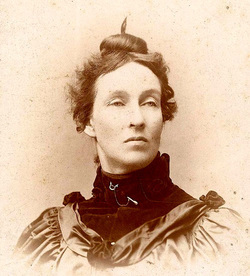 Mary Elizabeth Lease was an American lecturer, writer, and a political activist. Lease once told Kansas farmers to "raise less corn and more hell". She was a leader of the suffrage movement, but mainly known for her work in the Populist Party. She began her political career with the union party. She believed the big businesses of America were making the American workforce slaves because of wage labor. She eventually decided to split from the Populist Party. Lease was a lifelong politician who used her public speaking abilities to catapult her career. She used her skills to become the speaker for Irish Women and many other organizations.